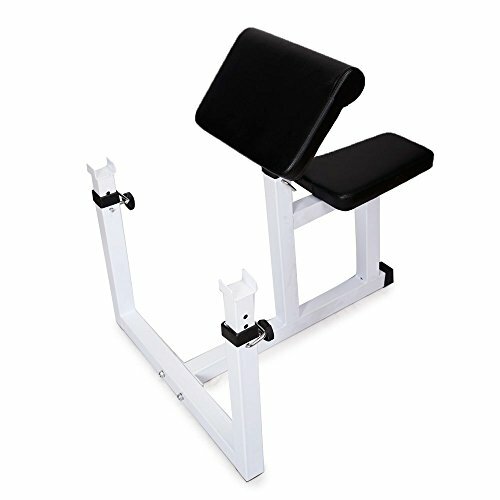 Enjoy the convenience of working out at home with the N-026 Fitness Preacher Curl Bench! It features an adjustable preacher cushion for your complete bicep and forearm workout. Soft, thick cushion is designed to fit comfortably under the arms to help you achieve the correct lifting form. Ergonomic design reduces the chances of getting unnecessarily injured while you exercise. It is also built with a cradle to provide extra safety for heavy lifting. Heavy-duty steel construction with coated finish adds to the durability of this fitness equipment. Don't hesitate to order now! View More In Adjustable Benches. If you have any questions about this product by Bonnlo, contact us by completing and submitting the form below. If you are looking for a specif part number, please include it with your message.